The residence enjoys a magnificent panoramic view over the resort. Direct access to "slopes on the doorstep". A residence recommended by children: free activities for 6-12 year-olds during Christmas, winter and Easter holidays. A family and animated resort in the Maurienne. A residence at the foot of the slopes with heated outdoor pool. Kids friendly residence: free activities for children from 6 to 12 years old. 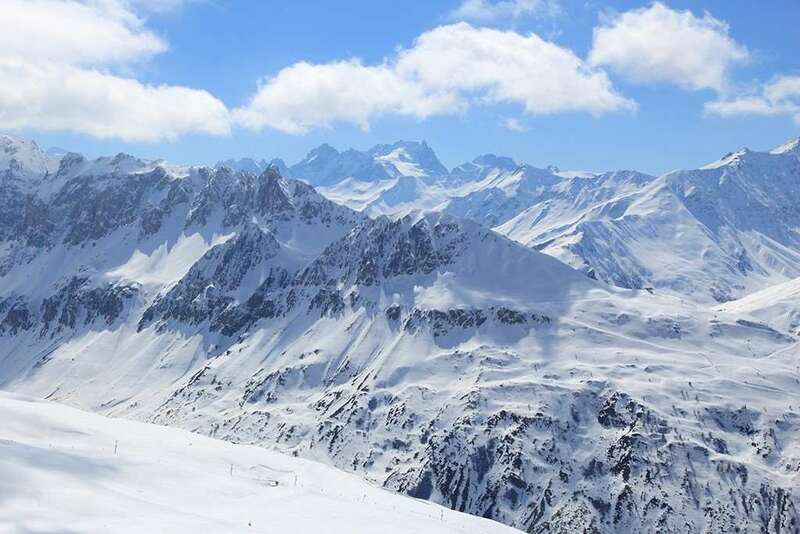 A number of activities are available both in the residence and local area such as: The Galibier-Thabor ski domain offers many ski runs up to an altitude of 2600m. Many activities: skiing, snowboarding, snowshoeing, sledding, hiking. Non-ski activities include: natural ice rink, ice climbing, adventure, torchlight parade. Free activities for 6-12 years old: indoor and outdoor games, discovery of the mountain, sledging. Lively and festive, the resort has many places for entertainment. Bar and restaurant in the Élan and Chamois residence. Opening hours of the reception: Main reception in the Elan building is open: From Monday to Thursday from 8 am to 12 pm and from 4 pm to 8 pm. Friday from 8 am to 12 pm and 3 pm to midnight. Saturday 24 hours. Sunday from midnight to 12 pm. (open non-stop from 3 pm on Friday to 12 pm on Sunday). Please note: subject to change, please contact the residence before your arrival. Handing over keys (short holiday) - 2 to 6 nights: 14h00. Handing over keys (week's holiday): 17h00. From studios for 4 people to 2/3 bedroom apartments for 8 people. Note: Separate WC except in the studios for 4 people. Accommodation description : 1 living room, 1 sleeping alcove, 1 kitchenette, 1 bathroom and 1 toilet. Living room description : 2 sofa beds and 1 sleeping alcove with 2 bunk beds. Description Kitchen : Kitchenette opens out onto the living room. Bathroom description : 1 shower or 1 bath and 1 toilet. Accommodation description : 1 living room, 1 bedroom, 1 kitchenette, 1 bathroom and 1 toilet. Living room description : 2 sofa beds, one of which includes a pull-out bed (recommended for children). Description Bedrooms : 1 bedroom with 1 double bed. Description Kitchen : Kitchenette opens out onto the living room. Bathroom description : 1 shower or 1 bath and 1 toilet. Accommodation description : 1 living room, 1 sleeping alcove, 1 bedroom, 1 kitchenette, 1 bathroom and 1 toilet. Living room description : 2 sofa beds, one of which includes a pull-out bed (recommended for children) and 1 sleeping alcove with 2 bunk beds. Description Bedrooms : 1 bedroom with 1 double bed. Description Kitchen : Kitchenette opens out onto the living room. Bathroom description : 1 shower with 1 toilet and 1 bath. Description Others : Some apartments are duplexes. Accommodation description : 1 living room, 2 bedrooms, 1 sleeping alcove, 1 kitchenette, 2 bathrooms and toilet. Living room description : 2 sofa beds, one of which includes a pull-out bed (recommended for children). Description Bedrooms : 1 bedroom with 1 double bed and 1 bedroom with 4 bunk beds. Description Kitchen : Kitchenette opens out onto the living room. Bathroom description : 1 shower, 1 bath and 1 toilet.